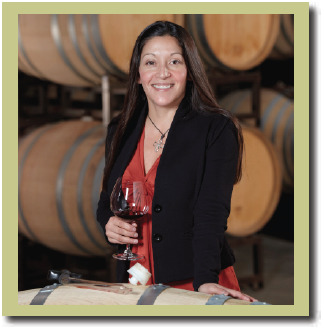 I thought it would be interest to readers to personally get to know Pinot Noir winemakers. After all, they are a fascinating group of people. We all know their stylistic preferences and vinification techniques, but what kind of people are they? Do you see any of their character traits in their wines? What Pinot Noir made by someone else I am drinking now: 2011 Beaux Frères Vineyard. My desert island wine would be: Drouhin-Vaudon Chablis. I recently had a 2008 Drohin-Vaudon Grand Crus Chablis and I imagine it will change delightfully over the course of many years on a desert island. My talent that few know about: Hyper concentration. There could be a nuclear war beginning and I may not notice if I am really focused on something. The thing I do religiously in my winery: I have to smell the cap, taste the must/wine and feel the temperature of each fermenter at least twice a day. It helps me to get to know each wine intimately which is why I’ll never forget any of them. The clothing item I wear most in my winery: My beloved Asolo boots with Montrail inserts. Best boots ever! The wine region other than my own where I would like to make Pinot Noir: Oregon (and of course Burgundy). The music I am listening to: Amy Winehouse’s version of Valerie and Bob Marley’s Trenchtown. I like to relax by: The beach, the pool, in the river, or any body of water. If money were no object, I would: Travel the entire world, learn all the languages, and all about the different cultures. If I wasn’t a winemaker, I would be: A chemistry professor or a medical doctor.